After investors were basking in the sun of an extended bull market, the perils of investing have begun to surface in today’s more volatile financial landscape. 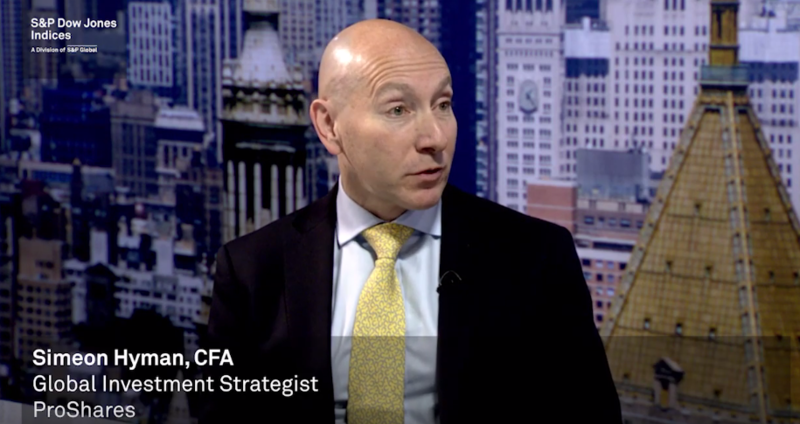 With a confluence of interest rate hikes, de-risking into bonds and trade wars just to name a few, an investor facing today’s market headwinds are looking for exchange-traded fund (ETF) options that incorporate built-in protection. The vast majority of investors don’t have the time to constantly monitor the markets and adjust their portfolios to account for sudden changes. In essence, if a product existed that captured the upside while protecting the downside in the convenience of an ETF wrapper, this would be ideal. One such ETF is the ProShares S&P MidCap 400 Dividend Aristocrats ETF (BATS: REGL), which is a fund for those seeking quality dividend growers in the mid-cap categories–an often overlooked corner of the equities market. With respect to the S&P MidCap 400 Index, Hyman cites that REGL contains holdings with income ratios that are comparatively better than the broad index. Furthermore, REGL holdings have less leverage–an important factor to consider given the systemic risks of rising corporate debt and a number of company bonds that could face downgrades from investment-grade quality. However, those factors are just part of the selective strategy that REGL uses for inclusion in the fund. REGL invests in the high-quality companies of the S&P MidCap 400 with the longest track records of year-over-year dividend growth. “Even before you get to any of that, just the simple rule set to be in the club (REGL)–it’s a requirement to increase your dividend for 15 consecutive years,” said Hyman. That type of strict, rules-based screening allows for quality investments as investors leave the mindset of the growth-fueled momentum that was driving the stock market the last few years to a more value-oriented mindset. It ensures that only the cream of the crop in terms of dividend performance are allowed into REGL, which gives investors the much-needed peace of mind. That peace of mind becomes more imperative as the economy delves deeper into a late market cycle. Another potential draw-down after 2018’s tumultuous fourth quarter is something investors want protection from going forward. “That’s a lot of comfort if you think that the economy is getting a little bit weaker,” said Hyman. During the peak moments of volatility during the fourth quarter of 2018, REGL was able to mute the volatility better than the S&P MidCap 400. As U.S. equities continue to rebound in the first quarter of 2019, REGL can capture any upside as evidenced by its 6.59 percent return year-to-date, which currently bests the broader index of about 4.5 percent. It’s a testament that REGL can get offensive in up markets, but defensive in down markets. Click here for the full lineup of ProShares Dividend Growers ETFs.